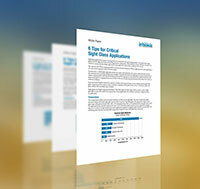 Six Tips to Safety: Which Sight Glass Spec Matters Most? 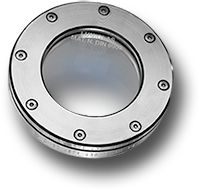 The number one priority in choosing the right sight glass for your application is SAFETY. When a sight glass fails it can hurt your people, it can put your process/batch at risk, and at the very least it can disrupt your entire operation with unplanned downtime. Since sight glasses are highly engineered products, the correct design and proper material selection is critical to assure the sight glass provides a safe choice for your application. Tempered glass or annealed? Borosilicate or soda lime? The specs matter because safety matters. We have identified six performance specs that are critical to consider when choosing which sight glass is right for your application. Since we care about SAFETY as much as you do we’d like to share what we’ve learned. What temperature range within your process will the glass material be exposed to? Has the glass material been properly selected for the application? Have you properly considered the Thermal Shock resistance to prevent cracking of the sight glass? What corrosive chemicals will the sight glass be exposed to in your process and can your sight glass withstand the corrosive environment? What abrasion resistance does your sight glass require? Are your max pressures 1400 psi? 400 psi? Will your sight glass withstand those pressures and perform at the levels you need? Is impact resistance adequate to minimize chipping or damage to the sight glass ? Get our white paper to understand how the specs behind these questions apply to your plant’s worker safety.